The editor of What Satellite has urged politicians to stop arguing about services in the Border region until they have worked out exactly what the public are going to be getting. A war of words is developing after culture secretary Andy Burnham suggested that Borders residents who wanted access to more than just the core TV channels should get satellite. "The question being, should I commit public funds to make purely commercial channels available to the public and that is not, I do not think, a priority for public spending. "People pay the licence fee and they get the core offer of the channels and that will be available. "There are always other options. If I was living in an area where I cannot get the full set of channels then I will have Freesat or Sky or a different option. "When Border switches over in a few weeks time, Sky is the default option on the scheme." Conservative Shadow Culture Secretary Jeremy Hunt has accused Burnham of being "either out of touch or completely insensitive" for the comments. However, Alex Lane – an industry expert and Editor of What Satellite and Digital TV believes that cheap political points scoring is spreading misinformation. "I'm no fan of Andy Burnham, but for once he's offered sensible advice," Lane told TechRadar. "The Liberals and Conservative rentaquotes are trying to score easy points and end up spreading misinformation. Freesat is a genuine alternative to Freeview, but neither seems to know what they're talking about." 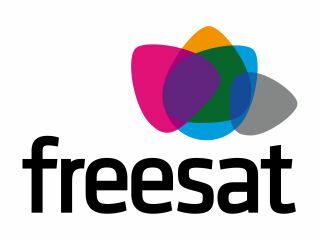 The magazine's blog is calling for people's comments on the topic, adding: "Freesat was created as an alternative to Freeview for people with poor Freeview reception, who will only get the so-called Freeview Lite option with 19 channels instead of 40-plus. "The homes affected will probably have poor analogue reception anyway, so even Freeview Lite would be an improvement over the status quo. "Many in these regions will need an aerial upgrade, which puts the £150 tag for a basic Freesat receiver and installation into a different perspective. "And finally, who should foot the bill for the huge escalation in cost if the UK upgrades every terrestrial repeater mast for Freeview? It's not like Digital Switch is cheap already."